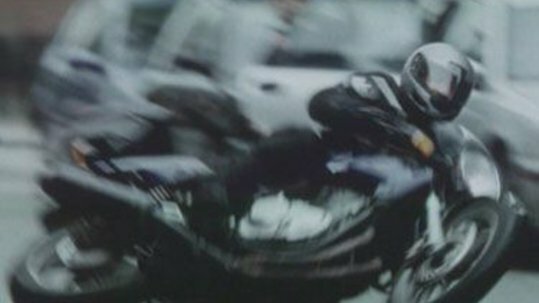 Transport For London “The Day You Went To Work” (01:00) # A series of humdrum everyday events and observations of a man rising to the sound of his alarm, getting ready for work and riding his motorcycle to work. Suddenly, a car door opens, something the man on the motorbike sees too late. A horrible crash ensues and, as we learn, the man loses the use of his legs as a result. Super: “Most accidents happen on familiar journeys. Ride the roads you know as carefully as the ones you don’t.” A commercial commissioned by The Mayor of London, THINK, a road safety organization, and Transport For London.